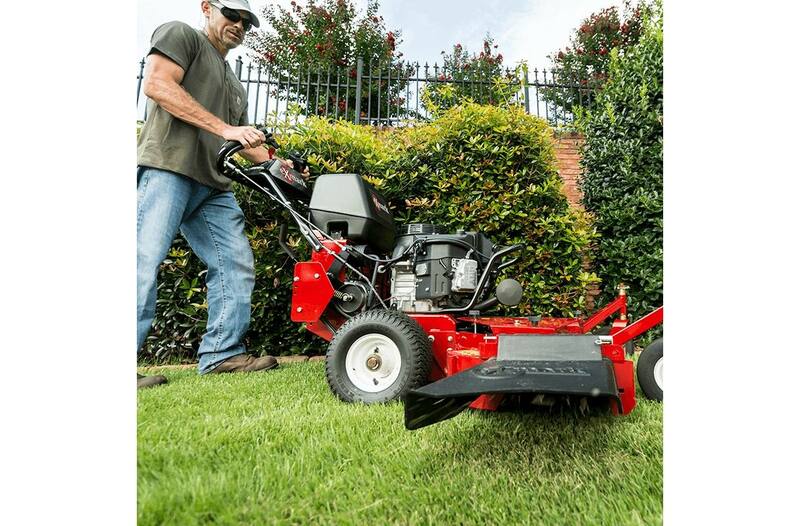 The three best reasons to own an Exmark® Metro®: Cut. Quality. Price. 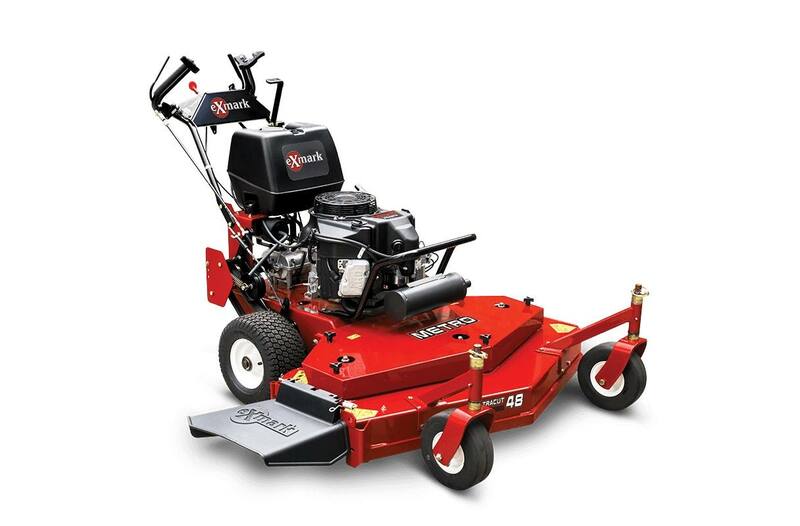 When shopping for a fixed-deck, gear-drive mower, you should have no trouble finding one or two of the three attributes listed above. But to get all three in a single machine, you're looking at a Metro. 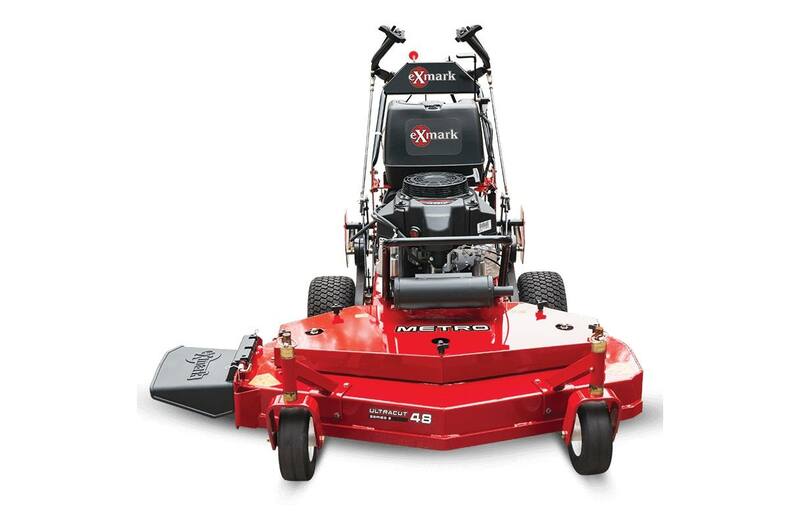 Its five-inch-deep deck delivers the sought-after Exmark cut. 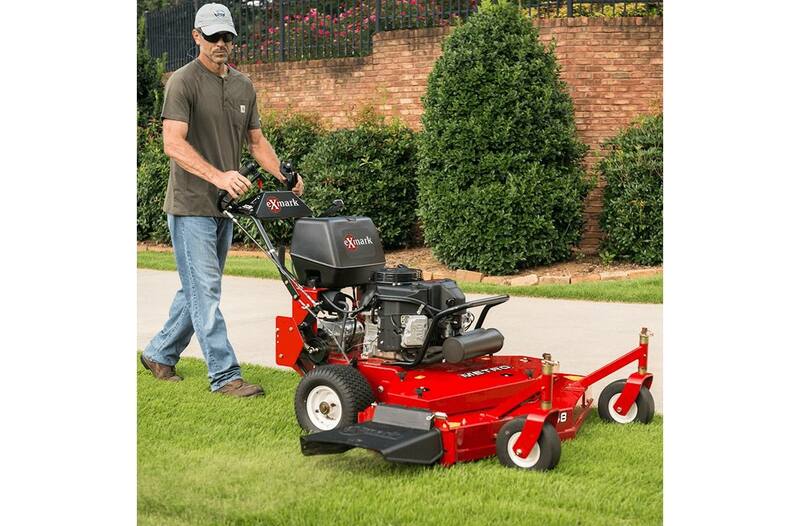 Metro 36" and 48" walk-behind mowers have the patented Enhanced Control System, with handle placement and design that reduces vibrations and relieves fatigue. 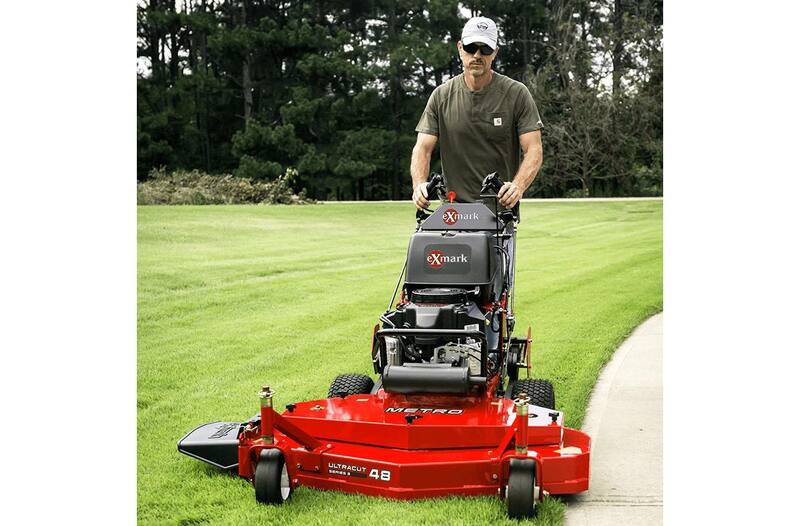 All Metro mowers have rugged Kawasaki® V-Twin engines and deliver the quality and features you're looking for. All at a price that puts it within reach of virtually any budget. Simple Drive Belt Maintenance: Drive belts can be changed quickly and easily - no tools required. Deck belts are also easily adjusted. All-Around Performance: The Metro delivers excellent performance with speeds up to 6.2 mph and reverse assist. High-clearance, well-balanced decks also make curb climbing and trailering easy. 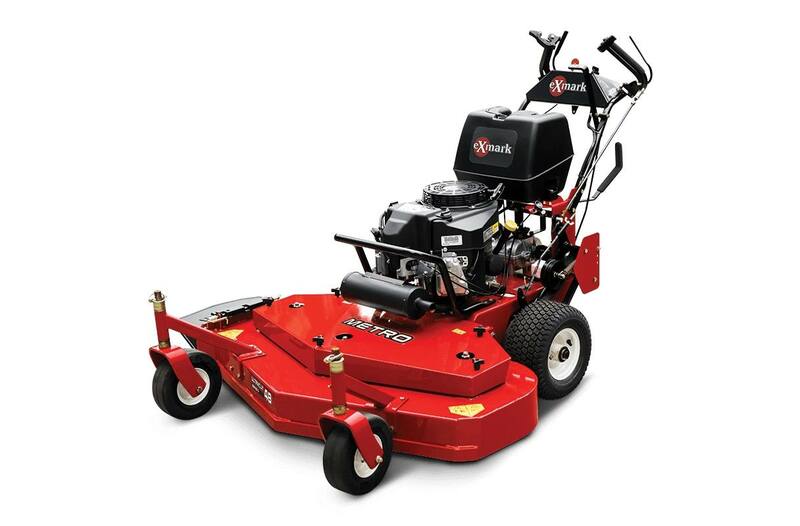 Commercial Grade Engine: Equipped with the FS481V Kawasaki® V-Twin engine. Steering Control: Gear drive with Enhanced Control System (ECS), forward/reverse assist. Safety Package: Operator Presence Controls (OPC). Operator must have transmission in neutral and blades disengaged to leave operator's position without stopping engine. Parking Brake: Standard; brake bands. Speed: 2.0 mph (3.2 kmph) to 6.2 mph (10 kmph) forward, reverse assist. PTO Engagement: Lever-actuated blade engagement with blade brake. Drive Wheel Release: Gearbox in neutral allows unit movement without engine running. Deck Lift: Manual cutter housing and front caster spacer position adjustment. Deck Style Description: Fixed UltraCut Series 3, side discharge standard, with molded discharge chute and option to bag or mulch.